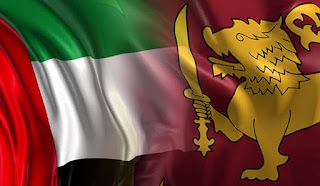 Sri Lanka and the United Arab Emirates (UAE) on Wednesday agreed to complete the Agreement for the Promotion and Protection of Investment (APPI) as early as possible in order to expand investment and trade cooperation between the two countries. A statement from the Ministry of Industry and Commerce, quoting UAE’s Ambassador to Sri Lanka, Ahmad Ali Al Mualla said Sri Lanka and the UAE had maintained historic ties and trade and investments were key pillars of these relations. With bilateral trade levels also at a historic high, the Envoy said that the UAE was ready to partner with Sri Lanka for the further development of bilateral relations in the areas of trade and tourism. “We wish to seek more exports from Sri Lanka. We are keen to further develop our relations. We are a leading Arabian investor in Sri Lanka. We like to partner with Sri Lanka in trade and in tourism sectors,” he said. He said the UAE was keen to complete the APPI with Sri Lanka as early as possible. From among the countries of Gulf Cooperation Council, the UAE is the largest investor in Sri Lanka. Its investment in Sri Lanka amounts to more than 405 million U.S. dollars. Commerce and Industry Minister Rishard Bathiudeen said the two countries were presently working on implementing the APPI and were likely to sign the agreement once both parties agreed on the final terms. Bathiudeen said imports from UAE accounted for 82 percent of the bilateral trade volume, and therefore action should be taken to improve Sri Lankan exports to that country. According to the Sri Lankan Department of Commerce, bilateral trade between the two countries increased to 1.38 billion dollars in 2017. It is a 37 percent increase from the trade volume recorded in 2016.